The WCFPD is our partner. We provide the district with environmental education; they provide for us office and classroom space, and 369-acre living classroom — the Severson Dells Forest Preserve, one of three dozen preserves managed by the district. WCFPD Website. Four Rivers is an alliance of public and private organizations. Its purpose is to advocate, educate and plan for the protection of the natural resources and biodiversity in the watersheds of the four rivers region of northern Illinois and southern Wisconsin. FREC Website. Birdfreak, aka Eddie Callaway, hunts birds with a camera. Eddie and the Callaway family live in Rockford and promote birding and conservation. The Birdfreak team always has something interesting to say in their Birdfreak Birding Blog. Located in Rockford, Illinois, this museum contains local and regional artifacts with displays on natural and cultural history. 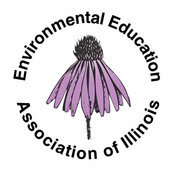 The EEAI is an organization for educators concerned about the environment. This site includes EEAI membership information, upcoming environmental education events, and links to other sites. Journey North is a project that tracks northward migration of animals including birds, insects, whales, and many other organisms. The Web site includes information on weather conditions and recent sightings of species on their journey northward. This is an extremely valuable site for educators looking for possible field-related classroom projects. Department of Illinois State Government responsible for environmental monitoring and enforcement of state regulations. Site includes valuable information on state environmental programs and includes a children’s page for younger viewers. State funded museum in Springfield, Illinois contains extensive collections of natural history objects, as well as cultural history and fine arts exhibits. Their comprehensiveweb site includes an on-line museum with many photos of specimens. Calling all kids who want to make a difference! Check out this site to learn about nature and to share your thoughts and ideas about how to help the environment. David Olson has been very kind in allowing us to use some of his photography on this site. Be sure to check out his work here!